Welcome to the Drip Audio website! Come on down to the DRIP AUDIO NIGHT Friday, June 29th at the Vancouver International Jazz Festival! Featuring performance by Jesse Zubot & Ken Vandermark, Fond of Tigers, Peregrine Falls & Sick Boss!!! PEREGRINE FALLS nominated for a 2018 JUNO award and WCMA award for Instrumental Album of the Year!!! SICK BOSS named top album of 2017 in Vancouver's The Georgia Straight! FOND OF TIGERS album 'Uninhabit' named masterpiece album for 2017 in Down Beat Magazine! 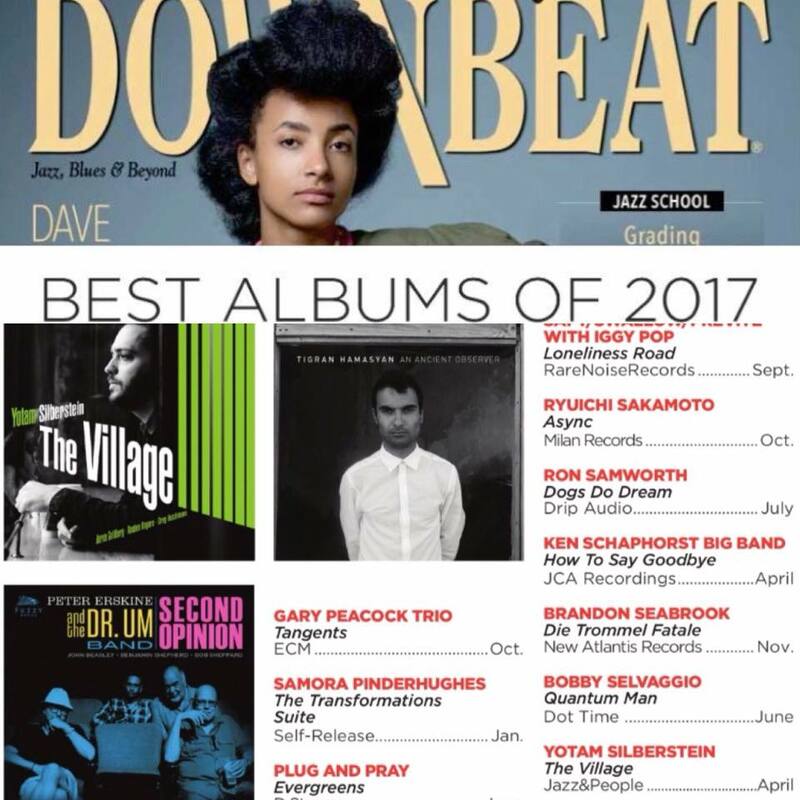 RON SAMWORTH'S 'Dog Do Dream' makes best albums of 2017 in Down Beat Magazine! Brand new albums by SICK BOSS and RON SAMWORTH are now available here! PEREGRINE FALLS is now available here! Check out the Wire Tapper from the 2017 April issue of The Wire to hear the track 'Ornette' from their current release! FILM IN MUSIC reviewed at The Whole Note! FOND OF TIGERS 'Uninhabit' is now available from our website and other places. To order, check here! FOND OF TIGERS Keep Post-Rock Weird on 'Uninhabit': NOISEY (Music By Vice)! FOND OF TIGERS return with 'Uninhabit' LP: EXCLAIM! Check Drip Audio on FACEBOOK and TWITTER!!! ***PLEASE NOTE!!! Direct ordering from us (via the CCNOW buttons) will be shut down as they seem to have gone out of business, so please order from the other links on the album pages! Thanks and sorry for the inconvenience!